Let your senses be indulged beginning with the hot lime foot compress you can drift away whilst your skin is deep cleansed. This facial is designed to be specific to your skin type and a face, neck and scalp massage stimulate the skin for an immediate glow. Fragile skin needs special attention. A subtle calming massage technique is used to help reduce the appearance of redness and strengthen the top layer of delicate skin, protecting against daily stresses. The soothing properties of Moroccan Rose, Chamomile and apricot are combined to gently exfoliate, whilst the deep nourishing Neroli mask leaves skin nurtured and comforted. Texture and tone are dramatically restored. Moisture levels are boosted and skin is left supremely calm and confident. A deeply cleansing revelation for oily unsettled congested or hormonal skin. This mattifying facial helps combat oil and shine using the proven power of lavendar cellular recovery capsules, balancing toner and repair mask work in unison to regulate oil flow and calm the skin, while intuitive massage helps restore micro-circulation and re-oxygenate, improving tone and texture. A deelpy detoxifying treatment for lasting clear, bright skin. This is the hard working facial for ageing, stressed, dehydrated skin and tired eyes. An energising treatment that speaks to every skin concern, restoring vital moisture and nutrient levels. It maximises cell regeneration, whilst steam and extraction decongests. Multi-dynamic facial massage sequences boost circulation, whilst targeted scalp and foot massage deelpy relax. Finally the uniquely nourishing Pro Collagen Marine cream for men is worked into a receptive, revitalised skin for a vibrant and energised result. This powerful treatment restores even skin tone, targeting unwanted areas of pigmentation, redness and freckles. A combination of delicate oils and lotions, packed with peony root and blackcurrant seed, are applied to skin before being washed away in a milky emulsion, taking the melanin with them. Encapsulated Vitamin C acts as a potent brightener, inhibiting future pigmentation. The complexion is lastingly colour corrected and illuminated. This is a crafted nutritional boost for stressed, dull skin. Rich in superfoods, essential minerals and trace elements magnesium, Pottasium, Zinc, Vitamin A and E form a mineral army to jump start tired and exhausted skin. An amino active mask helps restore lost moisture, deeply nourish, detox and pack the skin with powerful, energising nutrients. Skin is left smoother, plumper and luminously radiant – stress free and lit up with good health. This highly potent couture resurfacing treatment targets the signs of ageing and dull, tired uneven skin tone specifically desgined to work in conjunction with your skins unique structure, this pioneering precision layering protocol uses three layers of enzymes to nibble the dead skin away, revealing extraordinary results. This system delivers powerful exfoliation and renewal for smoother, younger looking skin, whilst a steam and extraction cleanses at a deeper level. A new start for new skin that has never looked better. This is the treatment to tackle fine lines and wrinkles and help support the cellular structure of the skin. Ths proven benefits of marine charged Padina Pavonica and red coral help plump out fine lines, whilst Indian mulberry reduces skin fatigue, helping relax wrinkes. 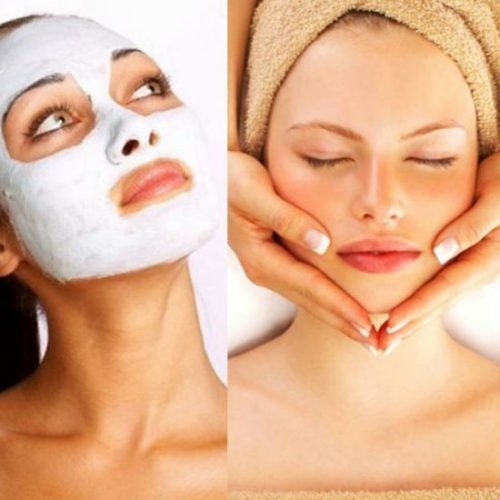 Targeted lymphatic drainage massage re-engerises and rejuvenates, while an age defying peel off mask encourages the highest cellular function, visibly improving firmness and elasticity for beautifully nourished, younger looking skin. Powered by breakthrough technology targeting sagging jowles, cheeks and jawlines, this facial helps restore the architecture of the face. The Arjuna and lupin infused jowl and chin mask works on elasticity, whilst potent nutrients and stem cells found in Edelweiss and tiger grass help support the extra cellular matrix. The structure of the skin is boosted through a unique deep, muscle toning massage from the scalp to the decollette. The skin appears plumper and revitalised, creating a profoundly scuplted, youthful effect.